When you think of fitness and working out, what do you think of? A lot of beginners and intermediate gym-goers think about their current workouts and end goals, but forget a crucial part of the process. That crucial part is something that will keep you happier and healthier than anything else that comes out of the gym, and that’s longevity. Longevity can take many forms when it comes to the gym. For most people, it means maintaining a healthy cardiovascular system (heart), body weight and composition, and warding off excessive aches, pains, and general soreness. As you progress through your lifting career, your view of longevity will likely change, though the end meaning always stays the same. What’s that end meaning? To live a long and healthy life. Below, I’ve outlined a few ways to create workouts focused on the idea of longevity for all fitness levels. If you’re working out on a regular basis, then it’s a good idea to incorporate big movements like presses, squats and deadlifts into programs. Now, you don’t have to be a powerlifter or serious strength athlete to reap the benefits of these compound movements. These movements utilize multiple muscles at once, create a good amount of stress on the skeletal frame to strengthen bones, and create a calculated stress on the body that isolated movements simply can’t do. 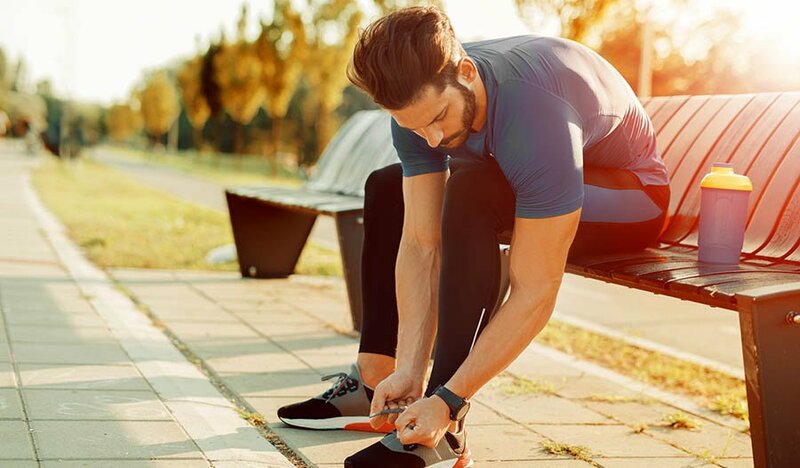 Generally, if you’re younger and working out more frequently, then it’s a good idea to start your workout with a bigger movement after a solid warm-up. Why the beginning? Well, compound movements demand the most energy and mental focus. As we go about our days, both of these stocks become decreased as more and more external factors steal our attention—thus putting them first is important to avoid both poor effort and potential lapse in mental clarity. 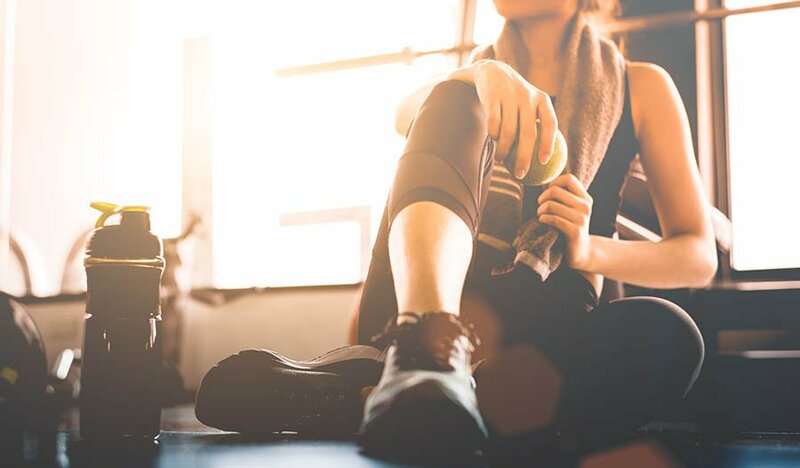 Things like pre-workouts formulas (both stimulant and stimulant-free) can be useful for giving us an edge when we may be feeling lower energy. 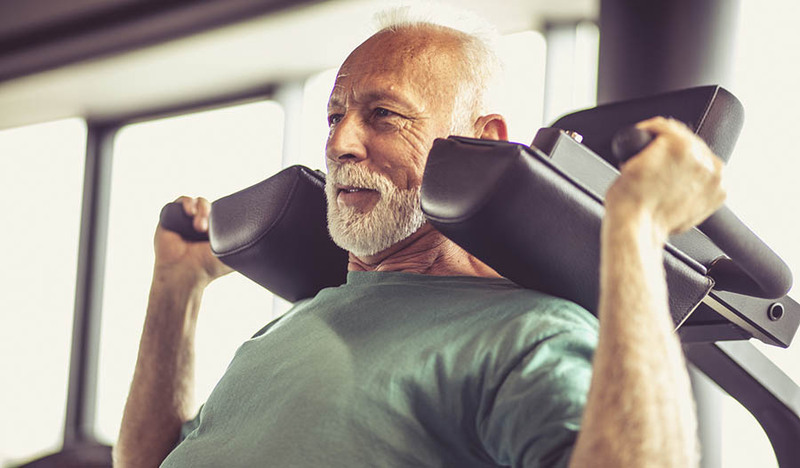 For the older population who may be newer to working out or have sustained injuries throughout their lives, then doing even one day of compounds can be beneficial. 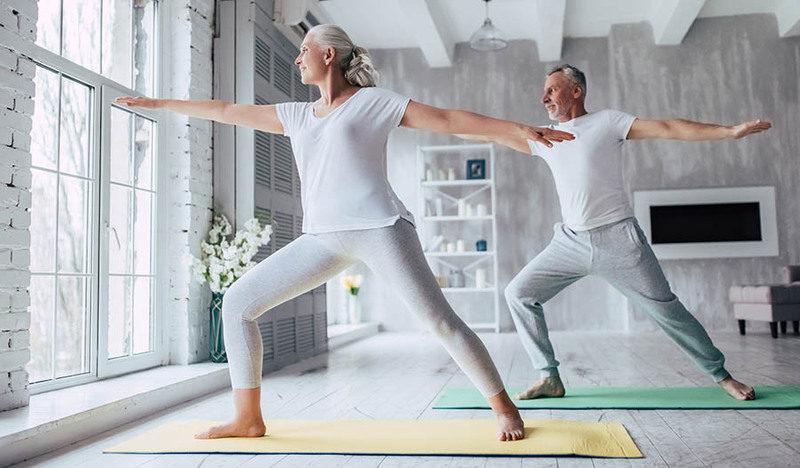 Sadly, as we age, both our muscles and bone begin to weaken and compound movements can be a great tool for slowing this process and combating it. Supplements like amino acids can be a great tool for slowing the muscle wasting process. A 2006 study in The Journal of Nutrition suggested that long-term supplementation of essential amino acids helped slow the effects of sarcopenia. We talk about not skipping the big movements, but now let’s pay mind to the smaller details that create longevity in the gym. In terms of lifting specifically, little things that can accentuate longevity are proper warm-ups with things like resistance bands to activate muscles and pre-hab and accessory movements. Pre-hab and accessories in a workout plan include things like unilateral movements, mobility work and controlled articular rotations (CARs). These exercises can all be beneficial for improving imbalances we develop over time and ensuring we’re moving properly on a daily basis. For this point, there shouldn’t be a split in age groups, as everyone who works out regularly can benefit with more of this style training. When working out, consider accessories and pre-hab movements like the fine-tuning portion, while the compounds from the first section are the nuts and bolts. Although, if you do find yourself slightly achier on a regular basis, then taking things like turmeric can be useful for potentially alleviating arthritis. A 2016 study in The Journal of Medicinal Food suggested that turmeric could be effective for alleviating arthritis symptoms. Granted, research is a little sparse on this topic still and there should be more rigorous studies performed in the future. Sleep is important. You’ve probably been told this since you were a child, yet I’m willing to bet you still don’t get enough of it. When we prioritize early workouts, long hours at work, and cooking dinner, sleep is usually the first thing to go out the window. Sleep is a basic human need, and it makes up a crucial part of the foundation for good physical and mental health over the course of your life. Research suggests there is a positive correlation between sleep quality, survival, and successful aging. With enough sleep, you can feel refreshed and alert throughout the day and ultimately improve your overall health and longevity. As you continue to work out, you need to remind yourself that the body will naturally need more sleep. Think about it--you’re now taxing the mind and body, so ample recovery is essential for longevity in the gym and in life. Develop a regular bedtime routine and sleep schedule. Limit electronic device usage before bed. Don’t exercise or eat large meals too close to bedtime. Relax with herbal tea or natural supplements, such as magnesium, melatonin, or L-theanine.